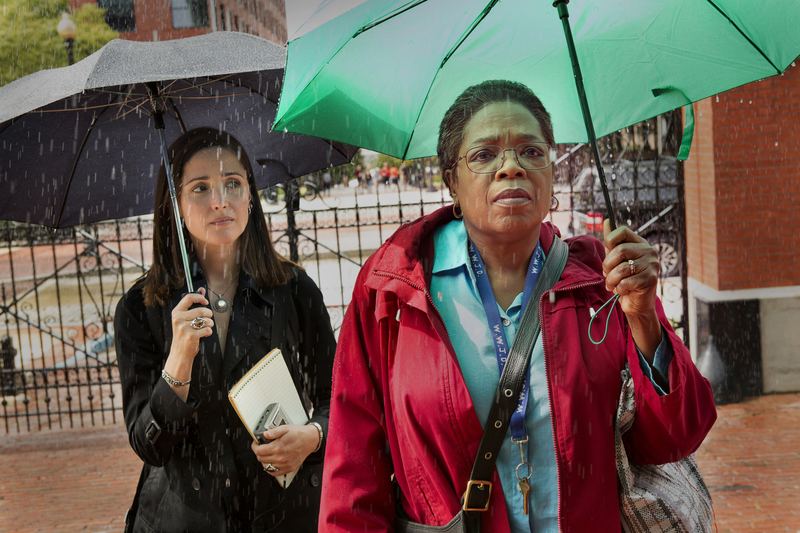 HBO Films’ THE IMMORTAL LIFE OF HENRIETTA LACKS centers on a daughter’s search for her mother’s truth. The best seller’s adaptation stars Rose Byrne as author Rebecca Skloot and Oprah Winfrey as Deborah Lacks. Photo: Quantrell Colbert. Courtesy HBO. Henrietta Lacks died of cervical cancer in 1951 at age 31. The poor African-American wife and mother from rural Clover, Virginia, not only left behind five young children, but also her remarkable “immortal cell line” that changed the face of medical research forever and became one of the medical profession’s best kept secrets. 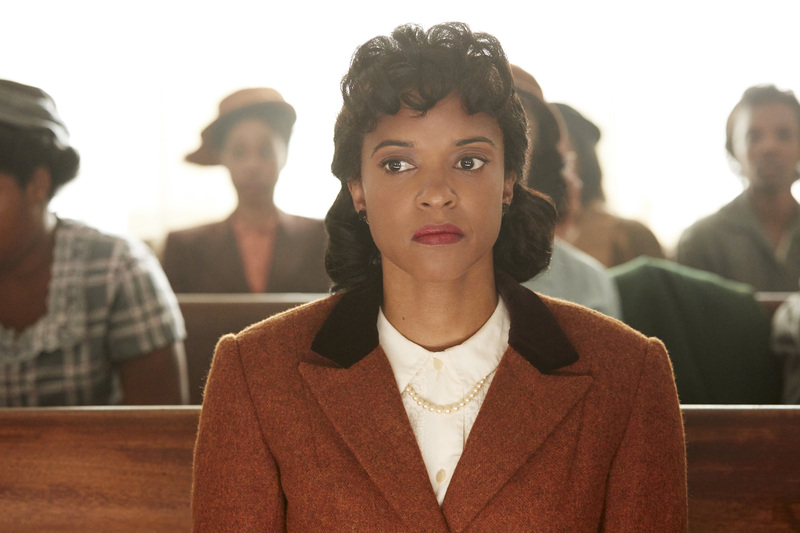 Renée Elise Goldsberry stars as Henrietta Lacks in THE IMMORTAL LIFE OF HENRIETTA LACKS. Photo: Quantrell Colbert. Courtesy HBO. During her treatment at Johns Hopkins Hospital in Baltimore, tissue from Henrietta’s malignant tumor was harvested for cellular research, without her or her family’s knowledge or consent. This ethically suspect activity was apparently standard practice at the time. Henrietta’s cancer cells not only tragically multiplied rapidly in her body, ultimately killing her, but unexpectedly broke precedent and continued to multiply in the lab and unbelievably still do in medical research labs around the world. They’ve also been used in studies conducted in outer space. And Dr. Oz even whipped out a test tube of her cells on a recent segment of his TV show promoting the film. While Henrietta’s name and provenance were seemingly of no consequence to those in the biomedical field, her so-named “HeLa cells” retooled the industry and quietly led to breakthroughs in cloning, in vitro fertilization and gene mapping, as well as the development of drugs and vaccines for, among other things, polio, leukemia, influenza and Parkinson’s disease. 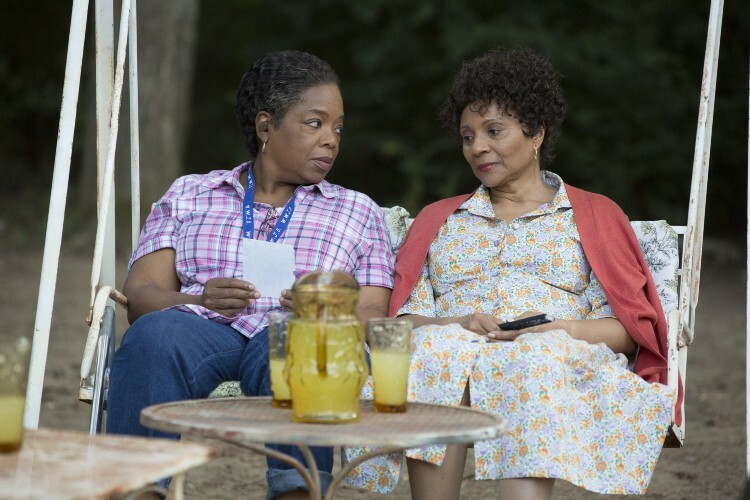 Dorothy Lacks (Oprah Winfrey) and her mother’s cousin, Sadie (Leslie Uggams), share memories of the past. Photo: Quantrell Colbert. Courtesy HBO. Then along came freelance science journalist Rebecca Skloot. Her obsession with the ethically challenged origins of HeLa cells led her on a 10-year odyssey to research a book that would honor the life and legacy of the human being whose cells continue to be the lifeblood of millions. Rebecca’s efforts to gain the cooperation of Henrietta’s family serve as the linchpin for the screen adaptation and call to mind Emma Stone’s pivotal role in The Help. As played by actress Rose Byrne, Rebecca comes across as a caring, patient and ultimately restorative friend to Dorothy Lacks. George Wolfe’s expressionistic vision celebrates Henrietta’s immortality through her family’s reflections and fragmented memories, especially those of Henrietta’s middle-aged, emotionally fragile daughter, Dorothy (played by Oprah Winfrey). 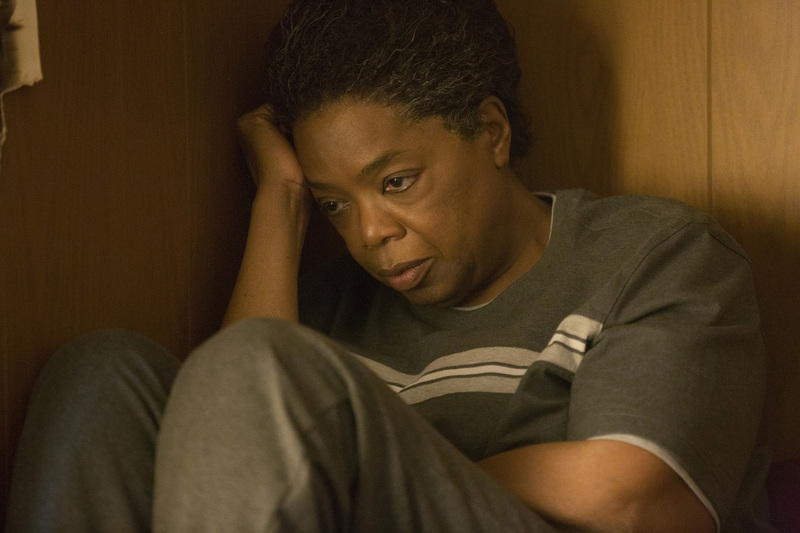 Winfrey’s manic-depressive Dorothy is the center of the film’s universe, as she comes to terms with her mother’s medical legacy, her sister’s horrific death in a state asylum and a childhood scarred by emotional and sexual abuse and the grieving hole in her heart for the mother she never really knew. Dorothy Lacks (Oprah Winfrey) struggled with emotional demons stemming from the loss of her mother at an early age. From THE IMMORTAL LIFE OF HENRIETTA LACKS. Photo: Quantrell Colbert. Courtesy HBO. Oprah Winfrey’s performance as Dorothy Lacks is truly heartfelt and award-worthy but, at times, just too much for the story Wolfe is trying to tell. The same goes for the profuse roots and jazz-inspired score by Branford Marsalis. However, special kudos to Renée Elise Goldsberry and Leslie Uggams in lovely, much too brief performances as Henrietta Lacks and her cousin, Sadie, respectively. This entry was posted in Cable, Film and tagged African-American Studies, Deborah Lacks, George C. Wolfe, HBO, HeLa Cells, Johns Hopkins Hospital, Medical Issues, Oprah Winfrey, Rebecca Skloot, Renee Elise Goldsberry, Rose Byrne, The Immortal Life of Henrietta Lacks, Women's Issues. Bookmark the permalink. I look forward to seeing this. Your review was a pleasure to read. Much appreciated, Bruce! Thank you for following my blog!